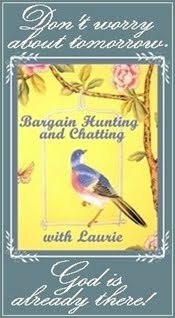 BARGAIN DECORATING WITH LAURIE: IS THE GRASS ALWAYS GREENER? 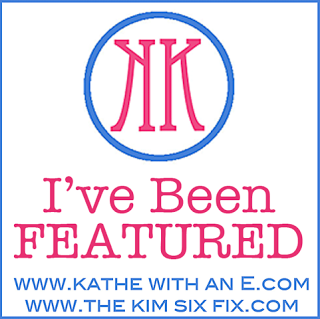 When I began this blog, it was all about ME! ME! ME! It was a creative outlet for me. It was a way for me to record some of my thoughts (I always think that after I'm gone, my children and grandchildren might be interested to read what I wrote-they sure don't seem very interested in what I have to say now). I never even thought about other people reading my blog. 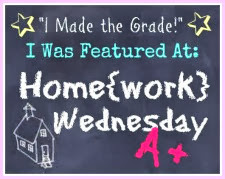 I have been amazed, flattered, and shocked that other people visit this little blog! When I saw on someone else's blog recently that a blog should have a purpose, I started thinking about the purpose of my blog. I realized that, though it started out for ME and about ME, it's purpose has become keeping in touch with the wonderful friends whom I have met in Blogland. I really don't have anything to offer anyone in Blogland, other than my cyber friendship. Having said that, I will tell you that this posting really IS about ME! So, if you're not interested, I understand, and that's okay. That's one of the things I like about blogs. When you are at a party, if I'm boring you to death talking about me, you can't be rude and just turn and walk away (Right, Miss Janice?). But, if you are reading my blog posting, and you are about to fall asleep due to boredom, you can just exit the blog, and I will never know! Everyone has a different decorating style (some are more different than others - especially mine). There are very few types of decor that I really dislike. I may like some styles less than others, but I still appreciate and enjoy seeing a lot of different decorating styles. I love seeing a very simple, clean look (even though I am not able to accomplish this look), and I adore the pastel cottage look (another look I am unable to accomplish), and I often aspire to an elegant look (but I'm unable to "do" that look either). 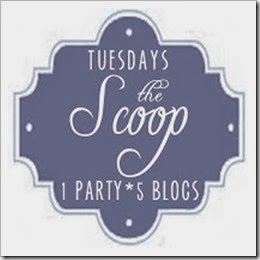 If you've visited my blog before, you know that I gotta have my "stuff". If a minimalist ever accidentally visits my blog, I'm sure they can't exit fast enough. I just hope they don't have a nervous breakdown before they get out of my blog. I really like all of the living rooms pictured above, but just look at all of the different decorating styles. I can enjoy seeing, and I appreciate the beauty of all of the kitchens pictured above. Yet, there are several different styles portrayed here. 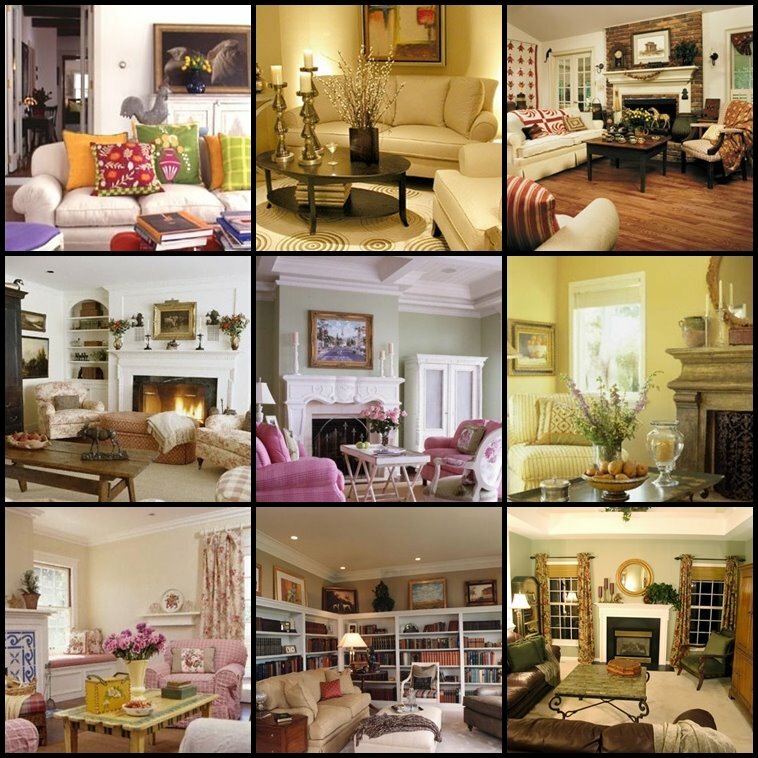 There are so many different types of fireplaces and different ways to decorate the mantels. 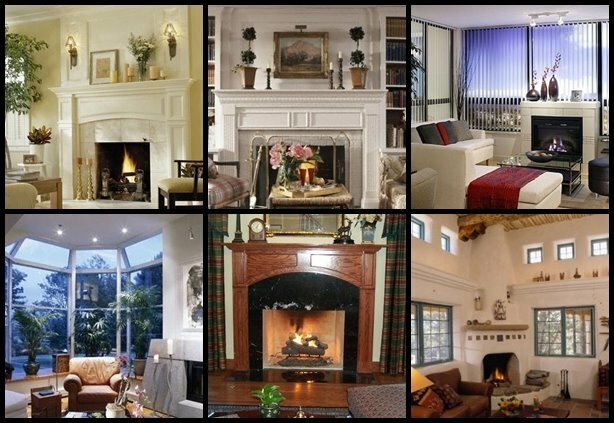 Aren't all of these fireplaces pretty? I often dream of purging my home of a LOT of my "stuff". 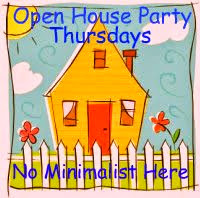 I even dream of becoming a minimalist (okay, you can stop laughing now!) When I have attempted to edit my accessories, I became uncomfortable in my own home. I have never liked the term "country", or the term "cute" when describing home decor, and yet those terms are often used to describe my decor. I've always wanted to have my home decor described as "beautiful" or "elegant", but I have finally admitted to myself that it isn't going to happen (unless I hire a great decorator to come in and redo all of it). When I was a teenager, I always wanted to be tall, slim, and beautiful. I was much happier when I finally admitted that wasn't going to happen either (I just recently admitted this to myself!). Of course, I have always wanted to be wealthy too, and I still haven't given up that hope! Although the grass often LOOKS greener in someone else's home, if we are uncomfortable in that greener grass, it may be better to just stay in our brown grass. So, you can call my decor "country" or even "cute". It won't bother me at all. I just call my home comfortable, and for me ... comfortable is good (at least most of the time!). Is it obvious that I haven't COMPLETELY convinced myself that the grass isn't really greener at your house? After all, it has taken me approximately 45 years to convince myself I'm not going to wake up some morning and be tall, slim, and beautiful! (Yeah, I've always been a slow learner). When I look at your blogs, your homes look so beautiful, even if the decorating style is very different from mine (after all, there aren't many out there like mine!). I admire and often want to emulate your homes, but I know that what I have in my home is right for me and my family (at least, I think I know this - Well, I am trying to know this, and sometimes I even succeed at knowing it!). I am very tardy about doing this, and I apologize. I do want to thank Marty @ A Stroll Thru Life Blog, who was so kind to present me with the Lemonade Award. Marty has some of the most wonderful things to share. If you haven't visited her, be sure to go see her beautiful blog. Thank you so much for thinking of me with this award Marty. Laurie...your post made me laugh! I don't have a decorating style per se.....I like a lot of different things...mostly antique or just plain old...and I find that all my "stuff" works well together. I like to think of my decorating style as eclectic! Someone said once that if you think an item is beautiful, put it in your home. Your home will then reflect you. This post brought a smile to my lips....as believe me your not alone in your thoughts about your house. I think we all do the same....I did go through a minimalist phrase and I hated it...everything to me was contrived....carry on doing what makes you feel warm in your heart. I so welcome your cyber friendship! I totally agree and wish I could accomplish some of those styles. I guess where you collect stuff, I just wait to collect. I see so many things I'd love to have but I still wait. Maybe when I win the lottery and money is not the deciding factor then I too can have all the things I want to collect. Well said Laurie! 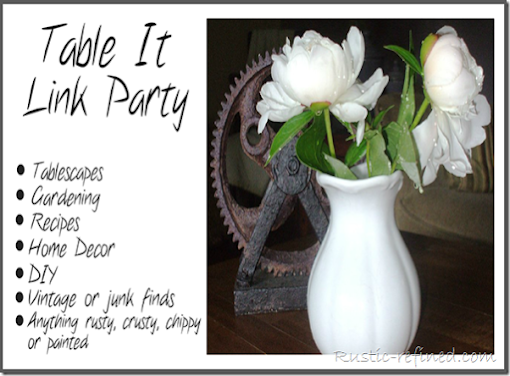 I don't have a blog purpose either...definitely not to tell anyone how to decorate. I sure do like looking at what other's do and I like the input from others also. It's always so interesting to me because you say you like to have your stuff...well, I wish I had more stuff but when I bring it in it makes me claustrophobic feeling. I don't want to be that way!! I want the top to bottom look! Oh well...I have slowly learned this about myself. It means I have a cabinet full of goodies to pull in and out of. Loved your post! I don't have any one style, either, unless it's eclectic, lol! Thank you for sharing your FUN post today! Have an AWESOME day! Well done with your therapy post Laurie! My style has always been hodgepodge. We've never gone out and totally decorated one room in a set style. Mostly I cannot bring myself to spend full price on anything. My decorating style is to work around the clearance items, great deals I find and make it work...or so I think it works. Adding lots of love and hospitality to a home makes it very appealing regardless of the "Style". I like clutter and that is okay with me. My clutter is my friend! Besides, I really wouldn't to clean any of those professionally decorated rooms. I would be afraid I would break something expensive! I like all of your living room inspirations. I see comfy/cozy as their theme. I have completely enjoyed viewing your home since I first logged on to RMS early last summer. Funny, but I would have never thought of "country" or "cute" to describe it at all. To me, and I'm no expert either but classic, elegant, comfortable, eclectic amd welcoming all come to mind. I do love many decorating styles as well. I don't think I could ever decorate in an extreme minimalist style though. I can appreciate the look for others just not me. I love Traditional with a touch of Old World. You are selling yourself short, sista! Your decorating style is perfect to me (of course we have the same problems). I think your home is elegant. My style is a trainwreck - country, traditional, tropical = eclectic? I mean, how do you even explain that? So, don't feel bad...we're all in the same boat! But one things for sure...I will never be a minimalist. Plus, w/ my bad memory, if I purge things, then I spend forever trying to find what I did with them b/c I forget that I've donated them. I share this trait with you - every time I try to 'edit' I end up putting it right back where it was .. for the room somehow doesn't look right. I love, love your comfy, casual, elegant in it's own unique way home ... probably a lot like YOU. I love your style and your home. I too, love looking at everyone's home and think I can "do that" but it never seems to turn out right in my home. One good thing about my "stuff" none of my kids want it, so there won't be any fights when I die. lol. What is evident in your home is: the owner is someone who values comfort, ease, friendliness, and doesn't waste a thing. That shows more character then any style could. Your home is the one that brings a smile because it is a reflection of you. I wouldn't call your style "cute" nor "country" ... I would call it eclectic cottage if I had to put a name to it. I can appreciate the beauty of a more spare look but if I picture msylef in the room, I don't feel like I would be enveloped by a sense of _____. I don't what word I'm searching for ...comfort almost works but it's not a physical comfort I am talking about, but an emotional one, you know what I mean? Like you, I suffer from decorating schizophrenia. I like a lot of different styles & a lot of different stuff. I try (& sometimes succeed) to display it all so that when someone comes into my home they exclaim, "This is soo you!" Laurie, I feel the same way. I love looking at everyone's blogs and decorating ideas, but my house will never be "their" house. You have to just be content with what you have and how it looks. If you love your home then that is all that is necessary. Don't you see that you and your home are perfect just the way you are? No need to apologize or excuse your decorating style ! I see a BEAUTIFUL home full of love and hospitality and a wonderful,caring, sparkly-eyed friend! YOU COULDN'T GET MUCH GREENER! Amen sista!!! I couldn't have said it better myself. I love your style. Even though I haven't been reading your blog that long, I can tell that you are a very warm & welcoming person & your house reflects that as well. I also love my "stuff" & can't stand to part with it. I too take in stray furniture & stuff from other people. My favorite saying is "Are you getting rid of that? I'll take it". My sister says I have too much stuff but she always says that my house feels so warm & welcoming, comfortable. And that is exactly how I wanted my house to be. It's not a showcase by any stretch of the imagination, but it is comfortable to me & I'm sure that is how your house is to you. And that is all that matters,but we do like others to say so too, so I will say it, I love your style & your house. You go girl!!! But like you, my house is a reflection of me, things I love, treasures handed down, things Mr. Dumpling and i have found together...and I wouldn't trade it. I think your home is lovely and I'm dying over all those plates. I love your home, it's beautiful! I just described my style, today, as sort of traditional/country. Although I don't like to be pigeon-holed in a particular style. Your style, to me, is wonderful and ecclectic! If God made us all along it would be a boring world. Your home is lovly and a reflection of who YOU are and your graciousness and warmth. 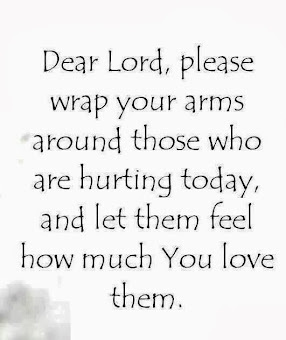 It is a reflection of the loving person you are and your faith in God. 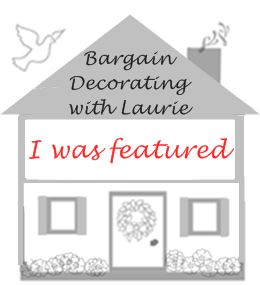 You have surrounded yourself with things that you love and I do not believe that there is a right or wrong way to decorate . . simply the style that you love is Laurie's decorating style. I also like different decorating styles. It's hard to stick with just one look. You have to decorate your home for you and your family and what is right to you. But, it is definitely fun to get ideas and copy others too! I do all the time! 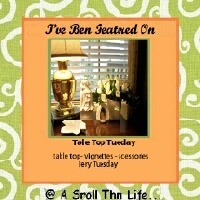 When I married in the mid sixties, we had very little money for non-essentials like decorating. Most everything we acquired was bought used or given to us as castoffs. I have always laughingly called my style Early Salvation Army. At the time Early American was all the rage. Money is not quite as tight now as it was then, but I really haven't changed much. In the past, I've made the buffalo squall on a few of the older nickels from squeezing so hard. Money is not quite as tight as it once was, but I'm the old dog that doesn't want to learn a new trick. I can have most anything I want now, as long as I keep my wants in line with my budget. It's a little late to try to make a silk purse out of this sow's ear. Laurie, you have a wonderful home! 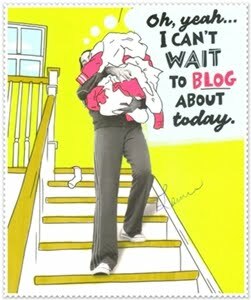 You also have a wonderful blog, and I enjoy it each and every time I visit. Do not change a thing, everything is great the way it is. Hi Laurie...you always have such a comical way of making a point! First let me say that you DO have a beautiful home...and I would describe it as warm and inviting and elegant. 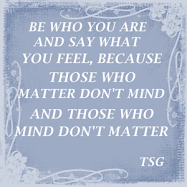 But it isn't really about what I think or what anyone else thinks or likes...it's about what YOU like! As a Decorator (yes, I am...but I'm not the stereotypical decorator)I go to great lengths to find out what my clients want to achieve as far as the feeling of their home, what "treasures" (whether they are pricey or not)they want to incorporate and what styles (yes plural because most people like more than one)they feel comfortable with. I always tell them to forget about whatever they've seen on TV or heard about "Interior Designers" because I'm not there to throw out all their things and impose my idea of what's best for them on them...I am there to help them make their house a home that reflects THEIR own UNIQUE sense of style.And everyone has a sense of style! When working with my clients I am always mindful of their budget and I teach them why they should invest more in certain items (like flooring and upholstery) and why it's ok to "shop around" for the rest...whether it's custom made or a thrift shop find...what matters is that they love it and it suits the purpose, if there is one! The biggest compliment I can receive after working with a client is for their friends to say that their home looks just like them...not, who decorated your house? For me, I have the same "problem" you do...I like a LOT of different styles and looks...and I have a lot of "stuff"...too much for some, not enough for others...I LOVE florals and color...I can't tell you how many times I read articles featuring a "Celebrity Designer" talking about how they must have beige or white in their own home because after working with clients all day they can't deal with color, pattern, etc. I can't imagine living WITHOUT it! For a brief moment I think...boy, they never approve of my "style"...but it is brief, very brief! Our homes should be a reflection of our tastes, style, whatever and should be filled to however full we like with the people and things we love! That's not to say we can't learn and grow and update and edit...those things keep a home fresh and vibrant! I dream of the day I have 4 or 5 homes each decorated in one of the particular styles I like...til then, they're all jam packed into one! Enjoy your home, enjoy your things, enjoy your own unique style! All the rest of us are! We must remember if the grass is greener elsewhere...that grass still has to be mowed too!! I agree that we are saving a fortune on doctors as we can vent our frustration (reference my lonely spell I went thru) on the blogs about us and noone sends us a bill !!! I think my blog is a combination of me reaching out and others reaching in. Does that make sense? ?